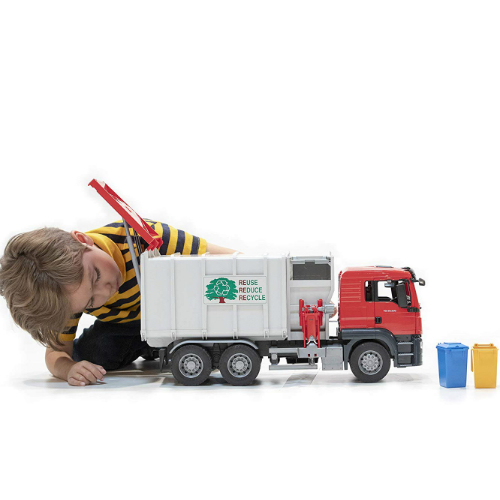 Kids always seem to be fascinated with garbage trucks. 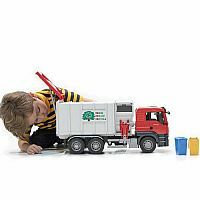 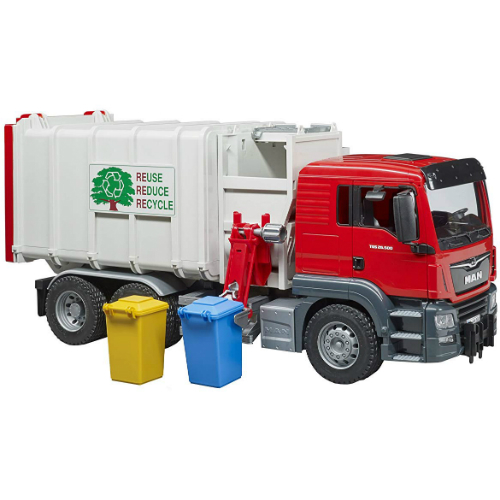 The Bruder MAN TGS Side Loader Garbage Truck will have them playing for hours with its realistic detail. 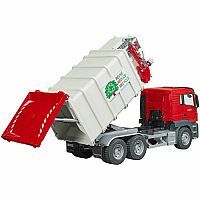 Lots of action with its lifting arms and included trash containers. With all the detail, children will discover all that is involved with refuse collecting and recycling. Measures approximately: 22.50 x 11.00 x 7.50 inches..